Taking care of my skin has always been important to me. Even as a teenager, I had a strong routine and knew that if I had a good skin foundation, then I wouldn’t have to wear as much make-up and my skin would look younger for longer. 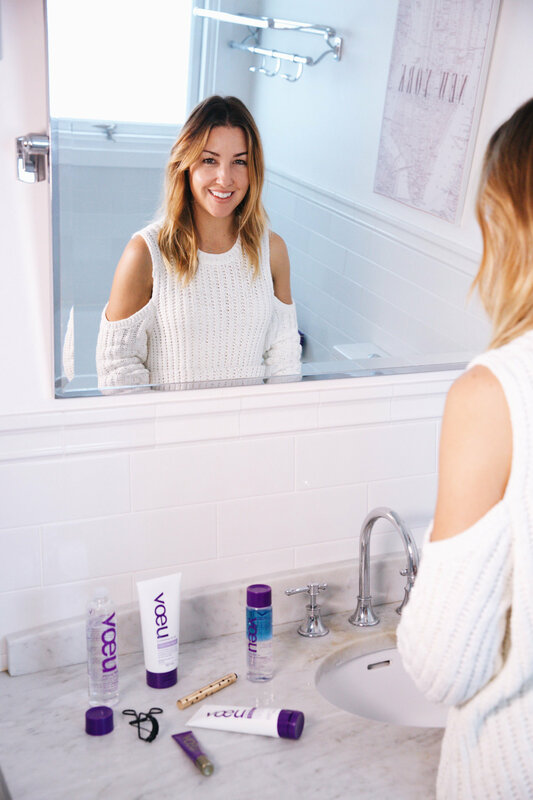 So, when Woolworths approached me to come on board to be the face of their new skin care range voeu (which is French for wish, cause who doesn’t wish for great skin?! ), I was very excited and a little intrigued to see what the range was all about. With fancy ingredients like pink pepper extract to help purify the skin, Japanese cedar extract to help improve moisture, organic olive oil to sooth and condition, plankton extract to support younger healthier skin and vitamin BC and E to soften the skin, I knew this was something I wanted on my skin! 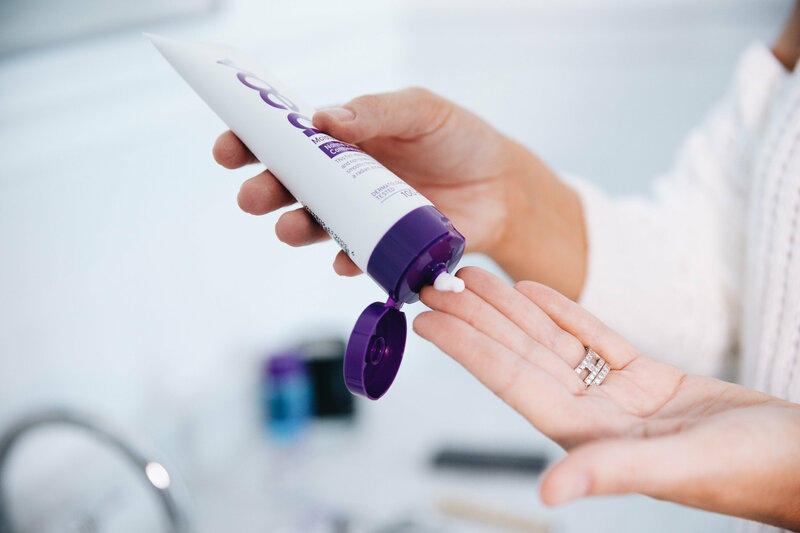 The range has been scientifically designed and dermalogically tested, it has not been tested on animals and is free of parabens, MIT, MCIT and all types of irritating chemicals. That’s all the good stuff taken care of right there. The products range from $1.50 to $8.00, and you can mix and match the products to create a bespoke skincare routine just for you. The best part is you can pick it all up while you’re getting your milk and eggs! In the Everyday Core Range you can find facial wipes, gel wash, exfoliating scrub, eye and make up remover, micellar water and moisturizer. It also has a sensitive skin wash and moisturizer for those with sensitive skin. 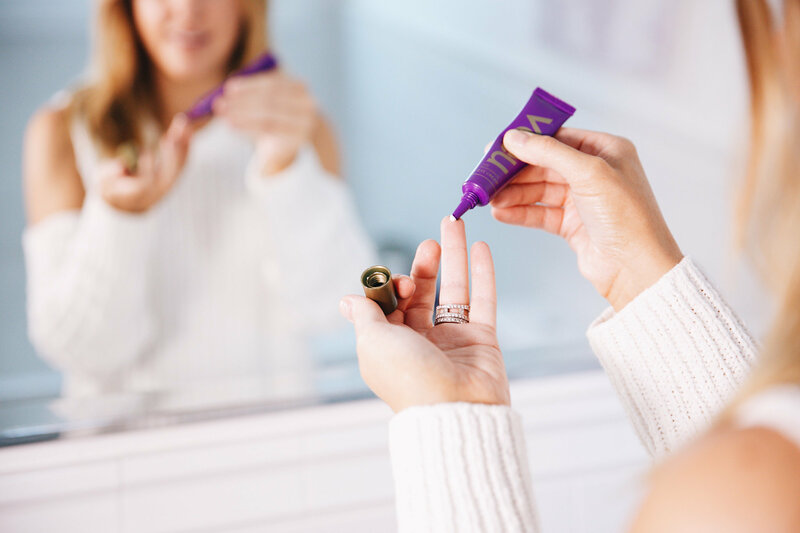 For those still in their youth (25-55) and seeking anti-ageing products the Age Protect Anti-Aging Range is your new bestie. Age Protect Eye Serum, Anti-Wrinkle Day Cream and Anti-Wrinkle Night Cream. For our mature skin beauties (40-60+), these products have been designed with you in mind. Age Regenerate Eye Serum, Anti-Aging Day Cream and Anti-Aging Night Cream. For me, once I started using the products at the beginning of this year, I was so happy with the result. For me, it’s simple. I want my skin to feel clean, moisturised and have a glow. I need my routine to be fast, fuss free, affordable and convenient. voeu has honestly given me all of that. 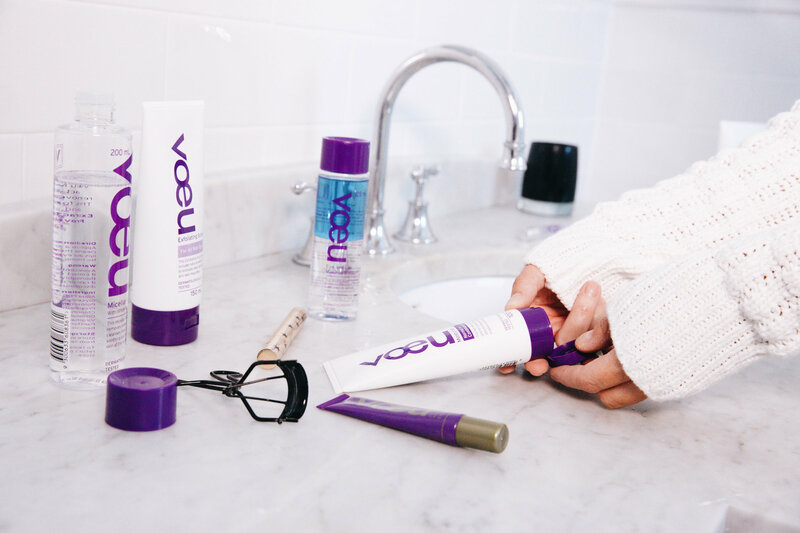 You of course, can put together whatever combination of the product you think will work for your skin, just like I have with my routine. In this post you can see what products I use, and how simple it is to get the skin you want. 1. Cleanse skin with everyday core range Gel Wash.
2. Gently wipe Micellar Water over entire face. This contains witch hazel to soothe the skin. Wait for skin to dry before moisturising. 3. Moisturise with everyday core range Moisturiser. 4. Apply Age Regenerate Eye Cream with ring finger under the eye. Twice a week I use the Exfoliating Scrub. It contains gentle emollients, natural walnut scrub particles and microcrystalline cellulose to exfoliate dead skin and clear away impurities. I love it! 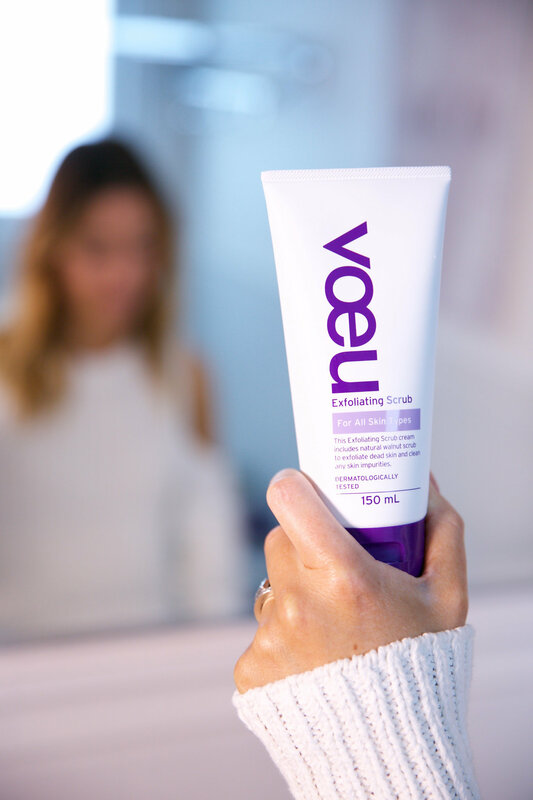 Use this before or after the gel cleanser. 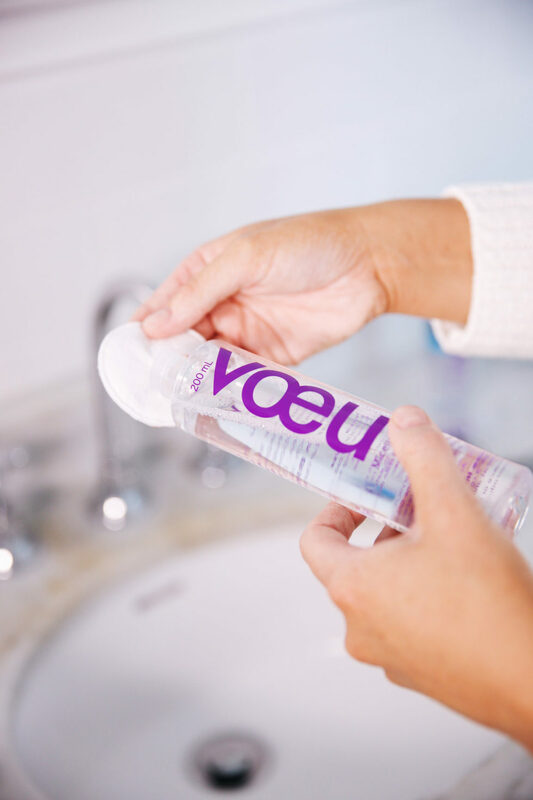 I know a lot of you have been using voeu, and I would LOVE to know what you think of it and if it is working for you. Let me know in the comments below. * As an ambassador for voeu this is a sponsored post.